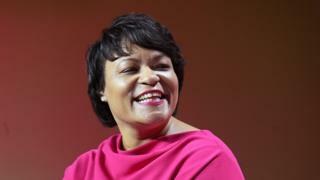 Mayor LaToya Cantrell is due to apologise for the killing - believed to be the largest recorded lynching in US history - on 12 April. Commissioner David Hennessy - a police chief in New Orleans - was ambushed and killed by four men near his home in October 1890. It is thought that with his dying words, he blamed the attack on Italian immigrants. Following Hennessy's death, officials rounded up Italian immigrants - according to some reports, they apprehended thousands. The Order of the Sons of Italy was the group that approached Mayor Cantrell's office about the apology. "Nobody thinks of an Italian being lynched, when it was common practise back then," he told BBC News. "So [the apology] is more of an education, especially for younger Italian-Americans." But, he says, it's "also to let these 11 souls rest in peace, knowing that they got the apology they deserved". "When I teach this in class, the students are amazed - they've never heard of this," he told the BBC. "And sometimes they go home and tell their parents, and sometimes their parents even come to my class too." Prof Gardaphe adds that although it's the largest recorded lynching in the US, it may not actually be the biggest: "We don't know how many African-Americans or Native Americans, or Chinese people were lynched along the way because a lot of those never got recorded." But learning about this crime is necessary, he says, to help Italian-Americans understand their community's "unprocessed traumas" - and to empathise with other groups' struggles as well. "If you don't process those traumas, it leads people not to identify with other people who've gone through the same thing - you think, 'well, that's their story'."